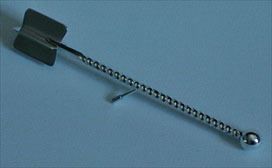 This original item of cutlery that has all but disappeared today makes a delightful surprise gift. 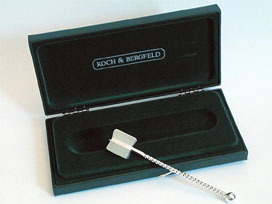 Koch & Bergfeld's Honey twirler made of 925 sterling silver not only allows you to take honey cleanly out of the jar, but can also be hung nonchalantly on the rim thanks to its little hook. Sticky fingers covered with honey become a thing of the past.